Don’t get me wrong. Dr. Doederlein, who unfortunately passed in 2012, was a brilliant advertising man and an excellent teacher. He wanted to be challenged, but he hit back hard and had no gray areas. He was a stickler for having us uncover a product’s or service’s unique selling proposition (USP) so that we could creatively convey that benefit to the consumer in a simple and memorable campaign. It made sense at the time, and gave our class good direction for our projects. It also provided the foundation on which my classmates and I built our approaches to advertising. But as I gained more experience, I questioned why the USP approach was being described as the only way to create successful campaigns. Dr. Doederlein wanted none of it. I even created a campaign for a brand of soup by associating the brand with the all things warm. Dr. Doederlein gave me a C, claiming that I failed to highlight anything unique about the soup since EVERY soup can make people feel warm. I thought he was wrong back then, but I couldn’t really articulate why. Now, more than 20 years after forming my own agency, I’m free of USP. Well, kind of. To be sure, USP does have its place and it’s worth starting with this foundation when beginning any campaign. But, when you get right down to it, sometimes there is NO UNIQUE BENEFIT in our client’s product over their competitors. Think about it, what would Coke’s USP be – that they’re more popular? That’s about it. There’s certainly nothing inherent in Coke that is not in their competitors’ products. Heck, even the packaging isn’t unique. In a broad sense, USP is about conveying a certain thing that the client does for the benefit of the customer that no competitor can do. Coke delivers smiles. If you’re a Coke drinker and someone hands you an RC, you don’t smile. Sure, RC, Pepsi and the rest can also claim they make you smile, but they’re too late. Coke owns the smile category now, much like Pepsi took ownership of a generation. All of this came back to me as I watched a delightful spot for Chicago-born Potbelly’s Sandwich Shops. Potbelly’s can have fun with USP if they wanted to go that route since there’s plenty of differences between them and their competitors that could be highlighted in a campaign. But nooo, their brand is not about claiming to offer superior sandwiches. 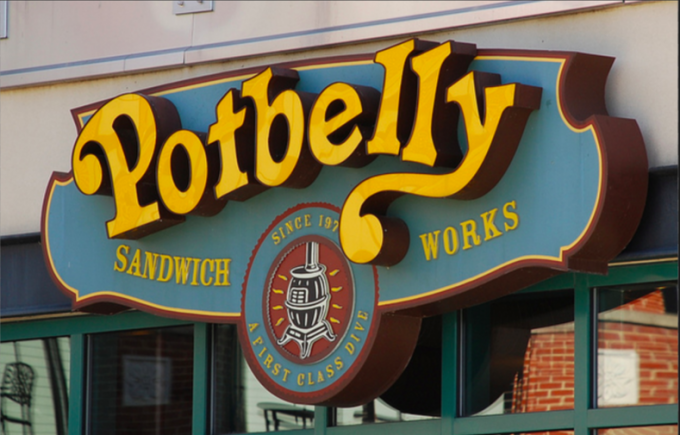 Potbelly’s brand is about softly and gently treating their customers well in all that they do, from the sandwiches, chips and drinks, to the live acoustic music played throughout the day. So with feel-good brands like Potbelly’s and Coke, it makes sense to forget the USP approach to advertising, and instead create feel-good advertising. After all, it doesn’t matter if other brands can also make consumers smile. What matters is that the client’s products/services makes them smile.